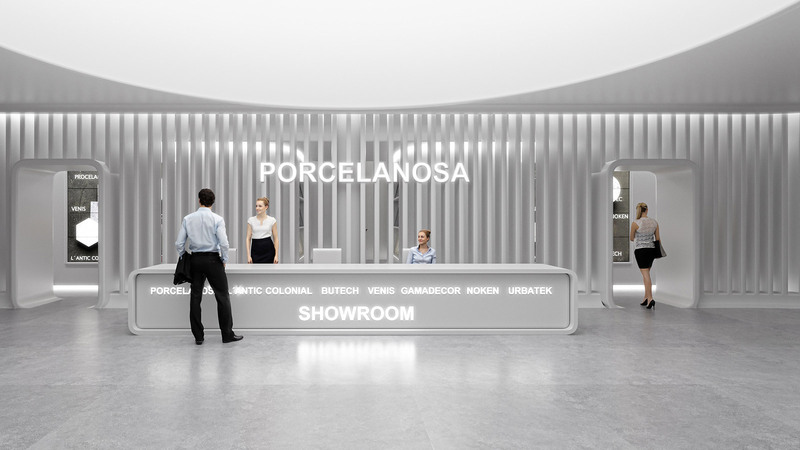 The ARQVI architecture and visualisation studio has created a new showroom for the PORCELANOSA Grupo headquarters. 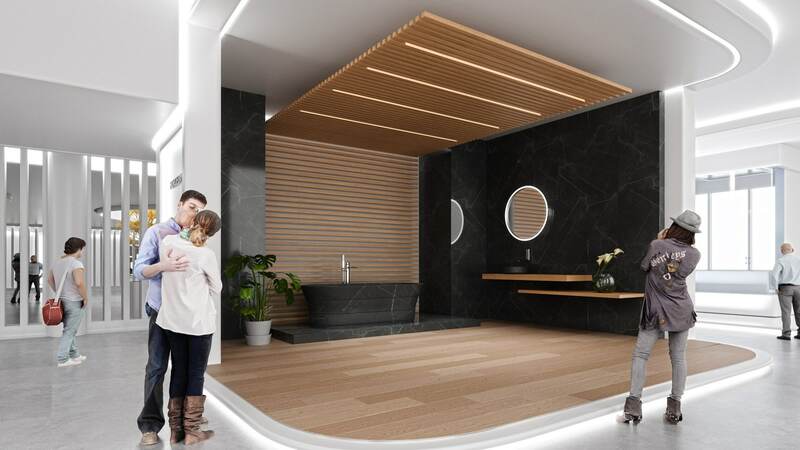 Its design, which was a finalist in the Forward-Looking Projects in the category of Professionals at the 11th Porcelanosa Awards, breaks the boundaries between interior and exterior. 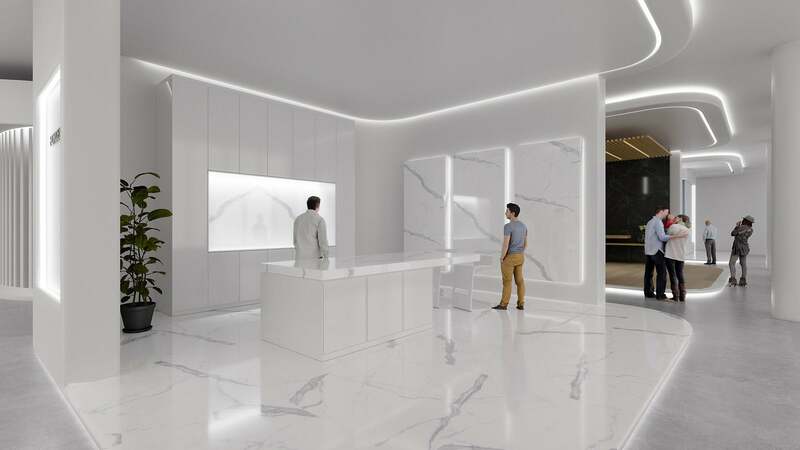 Insideout, which is the name of the project, reinvents the traditional showroom concept and invites all the visitors to get to know the essence of the brand, through the products from the PORCELANOSA Grupo. 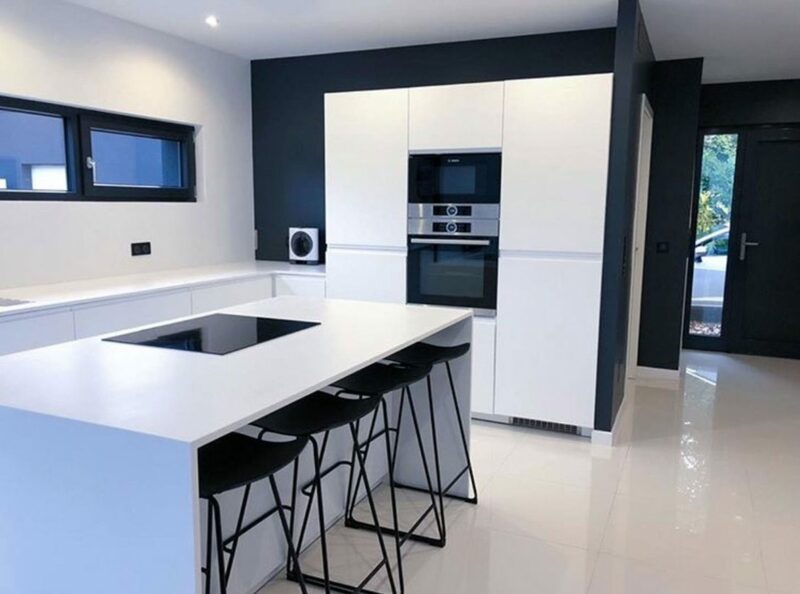 The purity and versatility of the KRION® Solid Surface is noticeable in the different stands of the group. 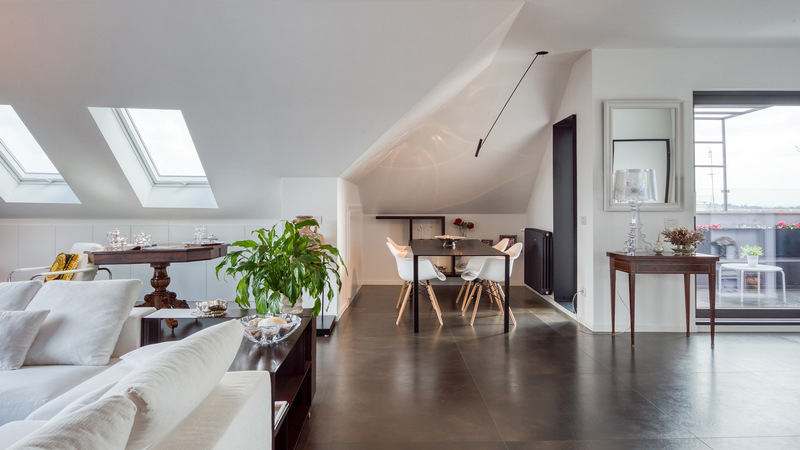 An integral trip between minimalism architectural and the new interior design. It is there where the spatial limits disappear because of the white and grey tones which characterise the different areas of the building. 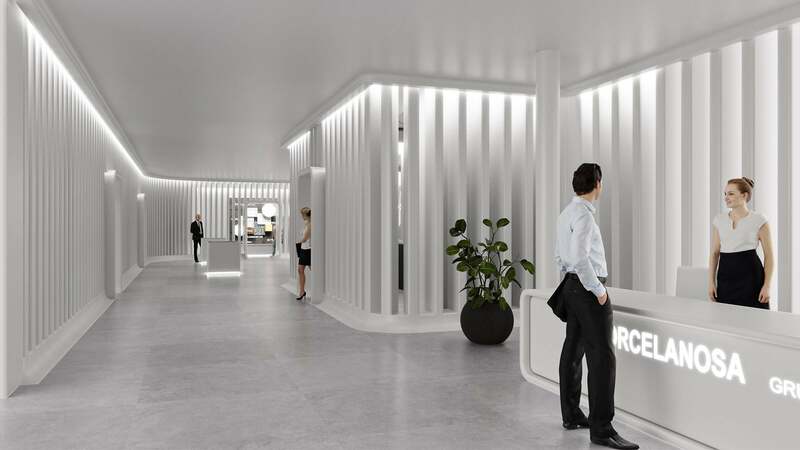 The big array of firms from the PORCELANOSA Grupo which are included here, have made building a vertical-element lattice possible with the KRION® Solid Surface. We are dealing with what in turn achieves in separating the interior central area from the exterior exhibition area. An integral solution offered by the façade system by Butech. Through that, the information is filtered down which, the visitor misses out on during their visit . 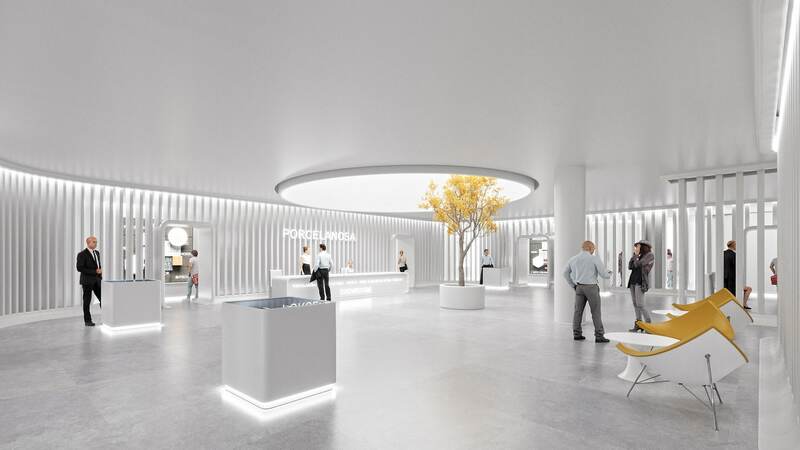 The connecting link between the exterior exhibition areas and the interior area has been achieved with the through-body porcelain by Urbatek. The resistance and the sandstone finish offered by the Stuc Grey Nature model provides contrast between the exhibition modules and the space continuity. From the large exterior windows, the artificial light blends with the natural light, therefore providing the stands with sinuous shapes. 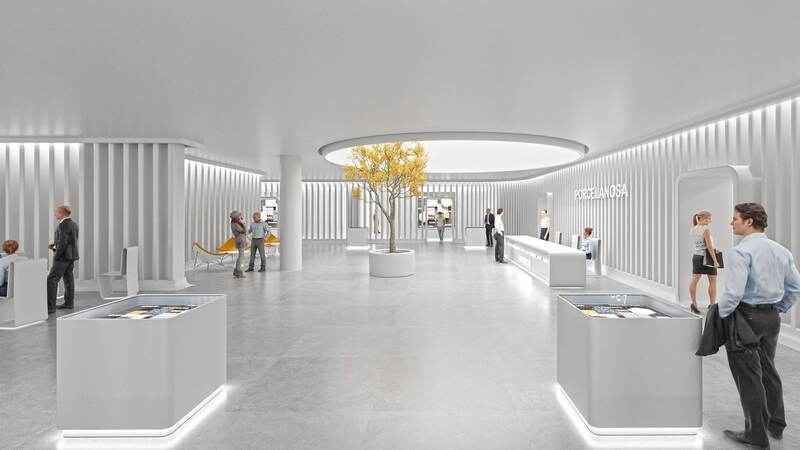 The circular interior patio is particularly important, since it is the main light source of this building, and furthermore, it breaks with the symmetry created in the rest of the showroom. A lively space with its very own personality. Thanks to Insideout, ARQVI has become a benchmark in interior design. 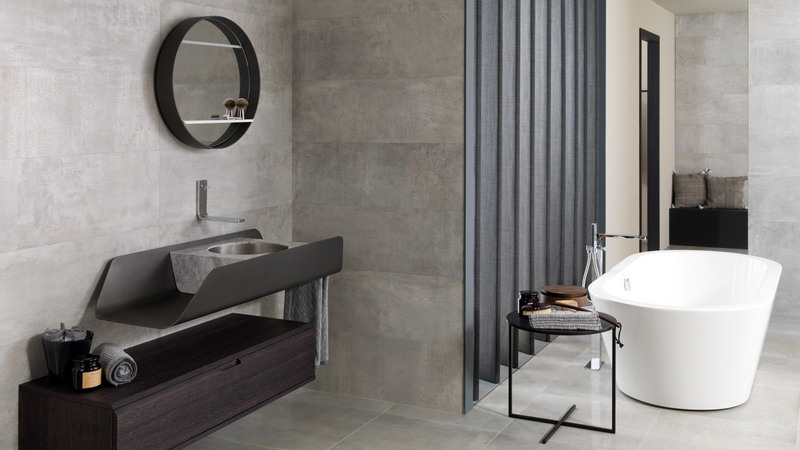 Its cosmopolitan and artistic vision provides the materials from the PORCELANOSA Grupo with new characteristics and functions which stimulate the recipient’s sensory sensitivity.